R.I.P. 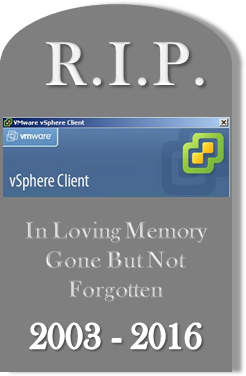 vSphere C# Client – VMware has officially written your obituary » Welcome to vSphere-land! Remember that painful goodbye you had to say to your beloved ESX hypervisor with the full Service Console back in 2011 when vSphere 5.0 was released with only ESXi? Well you better get ready to finally say goodbye to the vSphere C# (pronounced C-Sharp) Windows thick client also as VMware has just announced that the vSphere C# client is officially dead in the next vSphere release. VMware ESX was first released in 2001 and in 2008 VMware introduced the new lightweight ESXi hypervisor. At the time when ESXi launched, users basically had a choice on which hypervisor they wanted to deploy as they both provided the same core hypervisor functionality, the key difference between the two was in the manageability options. In it’s initial release ESXi had a lot of limitations compared to ESX and adoption of it was slow. Over time VMware built up the manageability of ESXi and once they felt it was on equal ground as ESX they retired ESX 3 years after the release of ESXi. The vSphere C# Client has always been the main management interface for vSphere back to the early days of vCenter Server. Originally called the VirtualCenter Client it debuted with the VirtualCenter 1.0 release back in 2003. 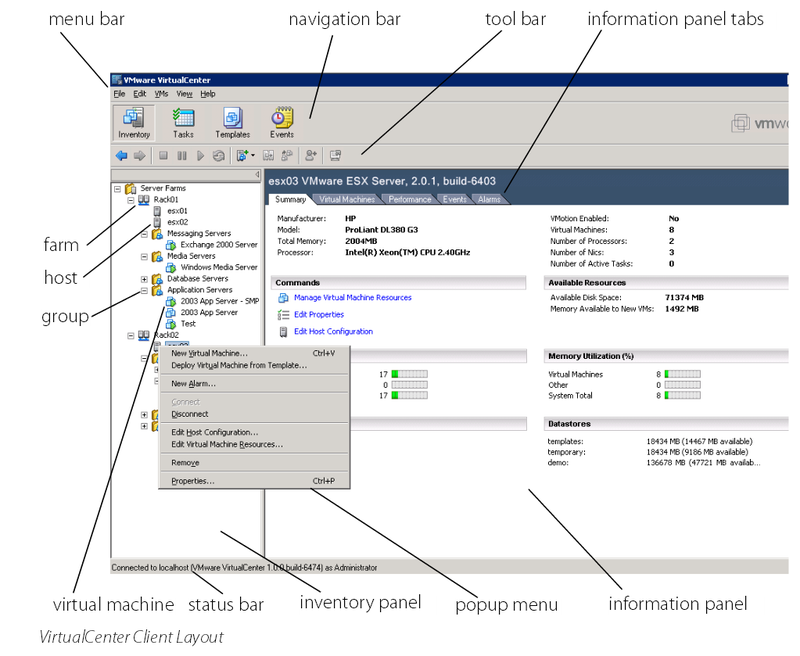 The VirtualCenter Client was renamed to the VI Client with the VI3 release in 2006 and later renamed to the current vSphere Client name as part of the vSphere 4.0 release in 2009. The vSphere C# Client is a Windows based application as it is written using Microsoft’s C# programming language within it’s .NET initiative. Being available only to Windows users resulted in a lot of griping from people that wanted a Mac and Linux client that would run natively on those operating systems and not cause them to install Windows just to manage their vSphere environment. As the mobile revolution ramped up as well having a client that you could run on an iPad was also desired. VMware did launch an iPad application and a mobile access client back in 2011 that used a vCenter Mobile Access (vCMA) appliance as a proxy to vCenter Server for management. It worked OK but it was yet another management interface that VMware had to develop and maintain. The current vSphere Web Client developed in Adobe Flex (Flash-based) was first introduced as part of vSphere 5.1 in 2012 as VMware felt they needed a fully featured universal cross-platform client that would work across any device (Windows/Linux/Mac/Mobile). Prior to vSphere 5.1 there was a pretty basic web access interface that could be used to manage vSphere in a very limited fashion. Over the years VMware has worked to improve the vSphere Web Client, the first iteration had a lot of limitations and missing feature support along with poor performance. Many people chose not to use it because of this and preferred to use the C# Client instead which was much quicker and had no limitations beyond being a Windows only client. One of the biggest grips with the vSphere Web Client was it was flash-based which has it’s own issues including limited device support. Despite VMware’s best efforts to improve it, most people still hated the vSphere Web Client as some of the core issues still existed (slow & flash-based) and you couldn’t use it on devices that did not support flash. As a result adoption wasn’t very high, people were still complaining and VMware was forced to keep the C# Client around. Whether people will satisfied with this new web client remains to be seen, the key thing is they no longer have a choice of clients going forward. It’s a bit unusual to see VMware making a special announcement about something like this far in advance of an actual release but I bet VMware wants to prep people now rather than spring it on them at release time and have that possible negativity overshadow the release itself. Think of it as telling someone they have 6 months or so to live so they can prepare for that fatal day instead of telling them a week in advance. When the time comes the uproar will have died down, the mourning will have passed and most people will just have to accept the fact that they have to make a change. Remember VMware never keeps 2 of anything around that do the same thing as it’s double the development work for them. ESX was retired, the C# Client is being retired and at some point I expect VMFS to be retired as well in favor of VVols. Whether you like it or not the C# Client’s days are numbered, you can either choose to switch to the vSphere Web Client or stay on the current 6.0 release with the C# Client. Hopefully VMware will make it an easy decision by providing a HTML5 Web Client that everyone is happy with. The C# client will continue to be available with all supported versions of vSphere, all 5.x and 6.0 versions will offer this interface through the posted end of support dates. >What is VMware announcing on 5/18/16? VMware is announcing that the C# client will no longer be available with the next release of vSphere. >Why is VMware making this announcement now? VMware has been transiting away from the C# client for the last several releases. In recent updates made to vSphere 6.0 VMware has moved functionality into the web client (such as Update Manager) that has further removed the need to run the C# client at all. VMware is also committed in its journey to provide an HTML5-based Web Client in addition to its Flash-based offering to market. >Why is the web client (WC) a better choice than the c# client? Work-In-Progress – WC lets you save your work and come back to it later, even from another computer! VMware agrees that flash is not the solution for the long-term. Our long-term direction is to utilize HTML5. Customers can experience this right now by using our flings for both the embedded host client and web client available at https://labs.vmware.com/flings. 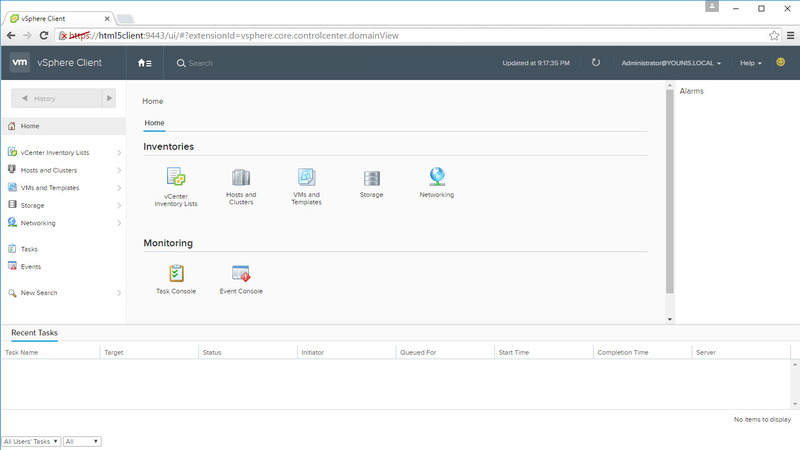 An HTML5 client will be available in future versions of vSphere. >When is the next release of vSphere? The date or launch timing for the next release of vSphere is not being disclosed at this time. >Will the C# client still be available at all? The C# client will still be supported with all non-EOL’d vSphere versions prior and post the next release. >Has performance and overall usability being addressed in the web client? Performance and overall usability have been dramatically improved with the release of vSphere 6 update 1 (released September 2015) and even further enhanced now that update 2 has become available (March 2016). We invite all customers to test the latest web client with our latest releases. >I use specific plug-ins with vCenter. How do I migrate Web Client 3rd party plug-ins to HTML5? Around 30-40% of the partner plug-ins are already in HTML5, we are working with the rest of the partner base to migrate them over to HTML5. >Is VMware really listening to its customers? Haven’t you heard my feedback on the web client? Yes, we are listening. The fling work on the HTML5 client plus the release of the embedded host client are evidence that we are paying attention and listening to customer feedback. To provide an example, let’s dive into this a bit further in this topic. For the first purpose, the existing vSphere Web Client based on flash is that interface and directionally, through the HTML5 Fling, you can see VMware is preparing to move off of the flash requirement and providing a much speedier/modern interface for managing and operating vCenter Server. For the second purpose, the Embedded Host Client (also HTML5- based) started out as a fling and now has become an officially shipping feature out of the box with vSphere 6.0 Update 2. This means that customers no longer require the vSphere C# Client to connect to individual ESXi host. This works for both licensed product as well as the free vSphere Hypervisor.